"Listing Agent David Ladouceur Sales Representative"
Address: 79 Vermilion Bay Rd. Bathrooms: 2 "1- 4 piece main bath"
Modest 1800 sq. 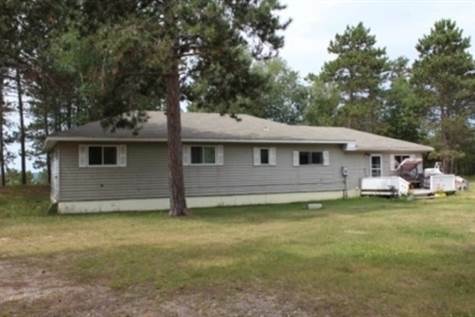 ft. 3 bedroom, 2 bath bungalow located on a 17 +/- acre nicely treed parcel. Features a spacious kitchen, dining room and a living area. Recently updated 4 piece main bath. There is also an en-suite 4 piece bath with laundry off master bedroom. Asphalt shingles replaced in 2015. 19' x 24' detached garage building. Zoned highway commercial for the entrepreneur to possibly start a new business, or perfect as a starter or retirement home with plenty of elbow room and exceptional view of Eagle Lake to the South. Come and see all the potential and possibilities this property has to offer.